Really didn't like this book. I am not sure if it is the richness, quality, maturity, whatever of some of the other stuff I am reading at the moment, but this book really paled badly in comparison. Either she doesn't read at all, or she's a Terry Goodkind fan, and you can move on and find someone else. It's well known, mixed marriages don't work. I am not sure if this is actually an criticism of Terry Goodkind or simply identifying that his books are vastly different to GRRM's books. In any case, I can definately identify with the sentiment. 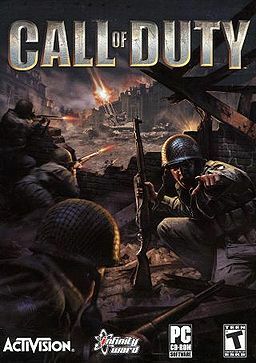 It would be easy to write this game off as "yet another ww2 shooter", but I think the Call of Duty series stands up as a ground breaking game in it's own right.